Other photos: Salon, Salon, Salon, Galley, Galley, Galley, Dinette, Dinette, Dinette, Master Stateroom, Master Stateroom, Master Stateroom, Master TV, Master Head, Master Head, Master Head, Master Head, Master Head, VIP Stateroom, VIP Stateroom, VIP Stateroom, VIP TV, VIP Head, VIP Head, Guest Stateroom, Guest Stateroom, Guest Head, Laundry, Breakers, Breakers, Helm, Helm, Helm, Helm, Flybridge, Generator, Engine Room, Engine Room, Engine Room, Engine Room, Tower, Bow, Bow, Bow, Port Profile, Port Profile, Port Quarter, Starboard Bow, Starboard Bow, Starboard Profile, Cockpit, Cockpit, Cockpit, Cockpit, Transom. "Up To It" is now the nicest early 2000's model 60 Hatteras on the market after receiving a complete repaint from the hull to the buggy top in 2016. Salon windows were rebedded and resealed. Interior soft goods including carpeting, dinette and salon sofa were updated. All A/C units were replaced along with new Vacu-flush heads. 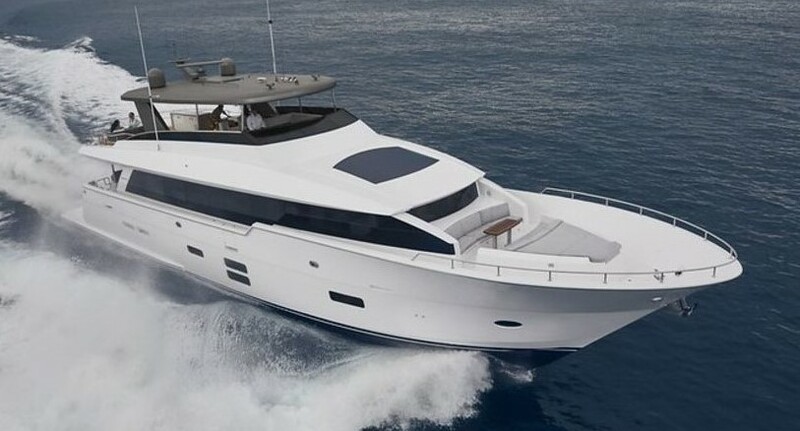 "Up To It" offers the tried and true proven 60 Hatteras ride with CAT power and the fresh look, electronics and appointments to give her the desired look and feel you would expect in a much newer vessel. The 3412 CAT's and 1400HP with the nature of the vessels use have spent the majority of their output at slow troll. Panasonic HD flat screen 46"